Social Marketing Company has moved one more step ahead with the opening of ‘SMC Niltara Clinic’ and Model Pharmacy in Dhaka recently. The objective of the clinic is to provide quality health care service at affordable cost for all. The clinic will provide a number of services including prescription, x-ray, lab services, ultrasonogram and quality medicine etc. SMC will provide subsidies for diagnosis and consultation to those who are financially insolvent. 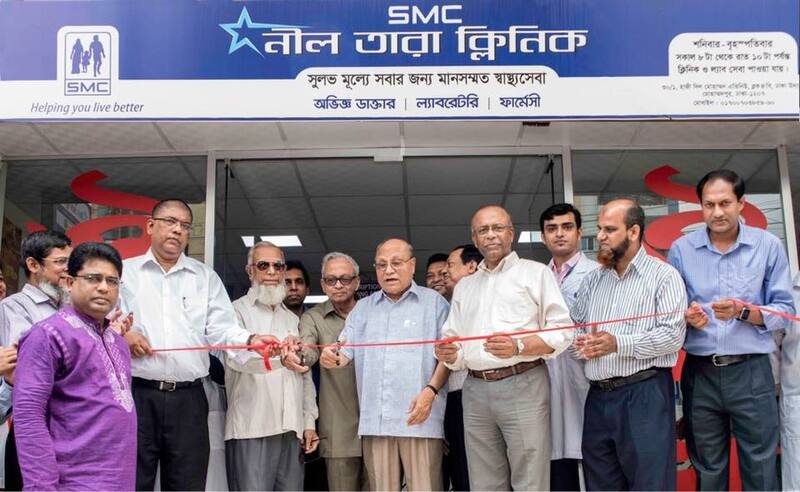 Mr. Siddiqur Rahman Chowdhury, Chairman of the Board of Directors of SMC and SMC Enterprise Ltd, inaugurated the clinic on May 19, 2018 at a simple ceremony. Mr. Mohammed Ali and Dr. Jahir Uddin Ahmed, Directors, SMC and SMC EL Board, also attended the ceremony. On this occasion, Mr. Md. Ali Reza Khan, Managing Director and CEO of SMC said, “Our vision is to develop a model of sustainable clinic to offer quality services for all segments of population.” Other high officials of SMC were also present on this occasion. The clinic will remain open from Saturday to Thursday from 8.00 am to 10.00 pm and is located at 30/1, Haji Dil Mohammad Avenue, Dhaka Uddyan, Mohammadpur, Dhaka.